Yet again, another pleasant dining experience at Ebi Fine Foods! The guy serving C & I when we had dessert last time (refer to a previous post) was working today as well. We ended up sitting outside because it was quite packed inside and he was very considerate. He came out, apologised for not realising that we were outside (which is understandable because our bentos were ordered as takeaway) and offered to turn on the patio heater. The other two workers were also friendly and polite, always smiling at their customers. 3 fish 3 ways Bento ($15) – Teriyaki barramundi, panko salmon and tuna and avocado salad in miso dressing w/ salad, marinated vegetables, rice and pickles. 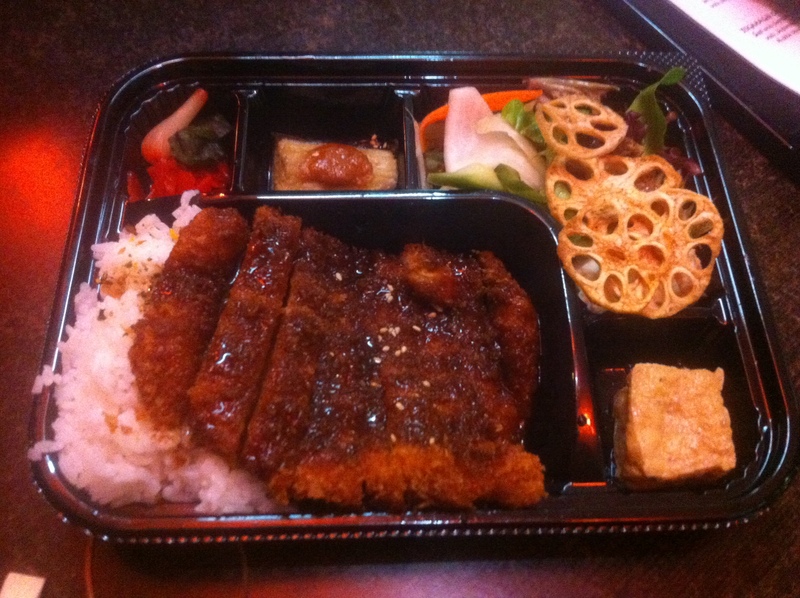 Tonkatsu Bento ($15) – Crumbed pork loin schnitzel w/ Tonkatsu sauce, salad, marinated vegetables, rice and pickles. (My friend N had the same meal so I didn’t take a photo). 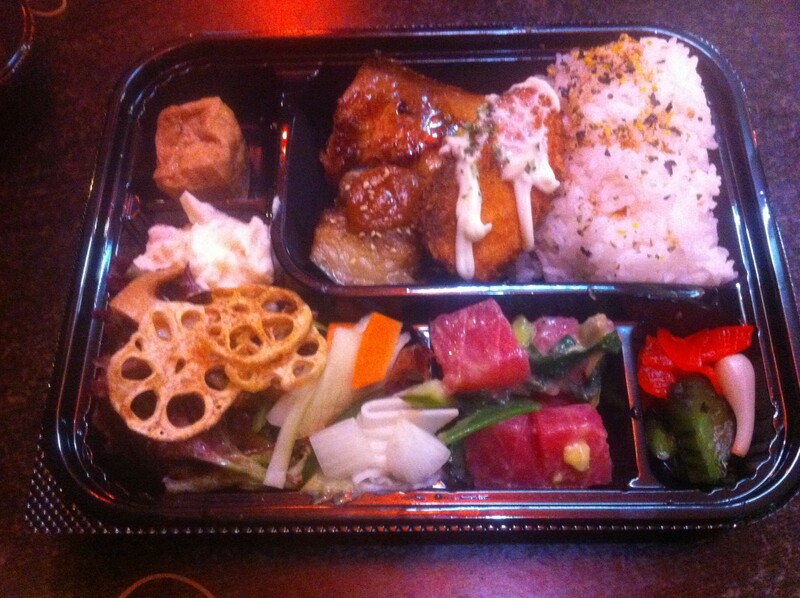 The bentos at Ebi Fine Foods are seriously amazing, and consistent too! Their rice was perfectly cooked; “light and fluffy” as quoted from C, and they also add a bit of seasoning on top. The schnitzel was well crumbed, crispy and the meat was nicely cooked. I think Ebi must’ve seen my past critiques as my salad was dressed this time and wasn’t bland at all!! They also put less sauce on my eggplant, which was great! I was even lucky enough to have not 3 lotus chips, but four of them crisp beauties!! I still found the tofu too cold and moist to eat though (I think it’s an acquired taste for that one). All in all, a very appetising bento! 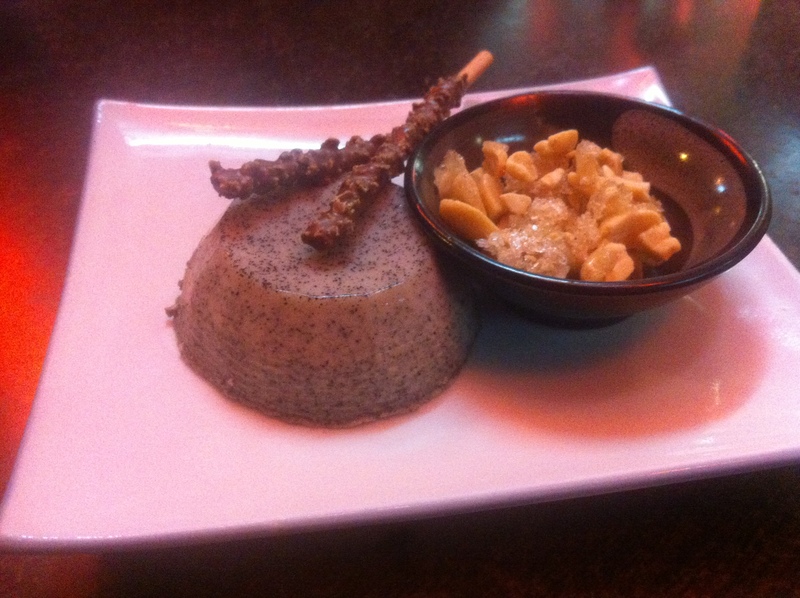 Black Sesame Panna Cotta ($6) – I’m not too sure about this one… the texture wasn’t to my liking. It wasn’t fresh, smooth and silky like your usual panna cottas, but I guess that’s because of the black sesame. It does have a strong black sesame taste which is great at the start, but I got sick of it and ended up craving for something cold to wash it all down. The pocky and nuts does help to cut the heaviness of the panna cotta though. Both my friends C & N had a try and said they liked it so I guess it depends on taste preferences as well. 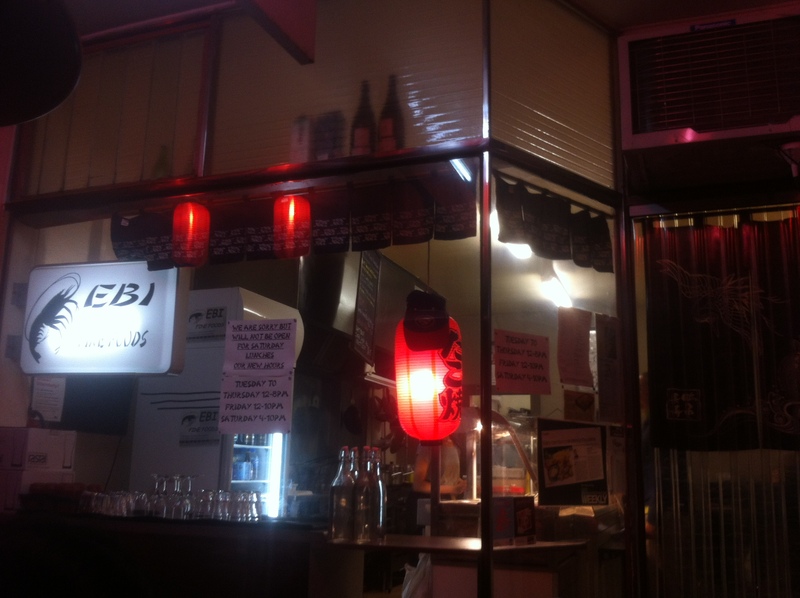 Quality of the food – 7.5/10 (+0.5 for Ebi’s consistency) = 8/10! This really looks delicious, I’ll definitely try this place out! Thanks for the review!